Lunar Laser Ranging (LLR) data can be used to determine parameters of the Earth-Moon system (e.g. lunar gravity, tidal parameters) and quantities parametrizing relativistic effects in the solar system. Moreover, LLR contributes to the realisation of the International Terrestrial Reference Frame (ITRF) and provides a set of Earth Orientation Parameters (EOP) like UTO or nutation coefficients. Among the relativistic parameters are those representing secular effects like G/G and periodic effects such as violation of the equivalence principle (EP). Altogether 10 relativistic parameters have been determined, e.g. metric parameters ß and γ, the geodetic precession of the lunar orbit, Yukawa coupling constant, the preferred frame parameters αl and α2 and others. 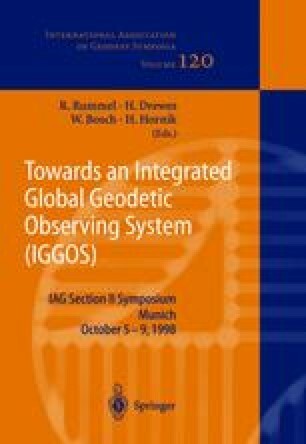 Here, we give an overview over the prospects of LLR today and its impact for Geodesy and Relativity.